Perfect for Earth Day, community events, fundraisers, carnivals or rallies! 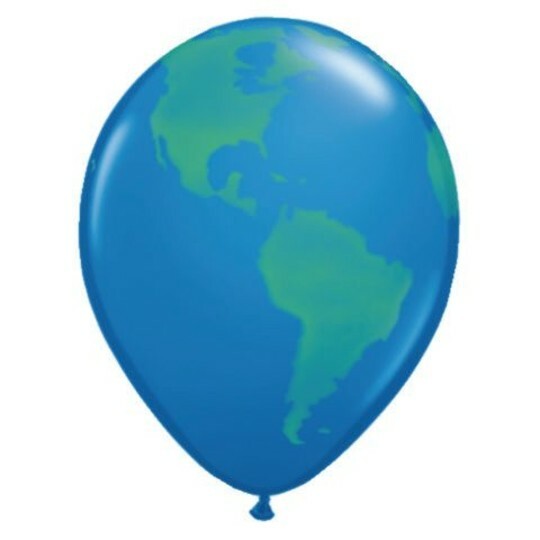 11" latex balloons with all-around earth design. This product was exactly what I was looking for. It was inexpensive shipped quickly and the service call after to make sure I was satisfied made me feel like I was valued. Bought these balloons for centerpieces at a themed Around the World in 80 Days event. They are a great size colorful and true to a map of the world. Very impressed with the quality.